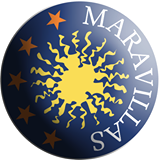 Colegio Maravillas looks back on over 40 years of teaching the Spanish language on the Costa del Sol. Our school is accredited by the Cervantes Institute and to top it off we are an official examination centre for the DELE and CCSE exams. We are proud of our highly qualified teachers frequently participating in didactic courses and ELE conferences provided by the Cervantes Institute and other institutions. The vast majority of our teachers are also DELE Certified Examiners. The classes are held in large, sunny classrooms with audio-visual technology, free WIFI access and air conditioning. Furthermore, we provide our students with a library containing a wide variety of available materials, a computer room with free internet access, a 25-seat cinema for Spanish language movies, conferences and seminars, a cafeteria on the spacious, sunshade terrace, offices, common areas, etc. Designed for those students who wish to learn general Spanish. The course integrates the fours skills of reading, listenig, writing and speaking with grammatical structures and vocabulary development. The lessons are also combined with different aspects of Spanish way of life and culture which are introduced progressively. Video tutorial [EN] The “Aula Virtual de Español” or “AVE” can be translated as an on-line, virtual system especially designed by the Cervantes Institute for the teaching and learning of Spanish as a foreign language through the internet. The didactic material used brings together all the richness and diversity of a language that is officially spoken in over twenty countries. Dynamic and flexible by nature the base of the “AVE” offers a wide range of training programmes to Spanish students from around d the world as it answers to a variety of needs and demands.